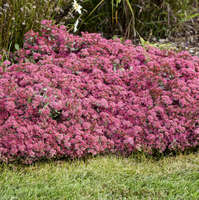 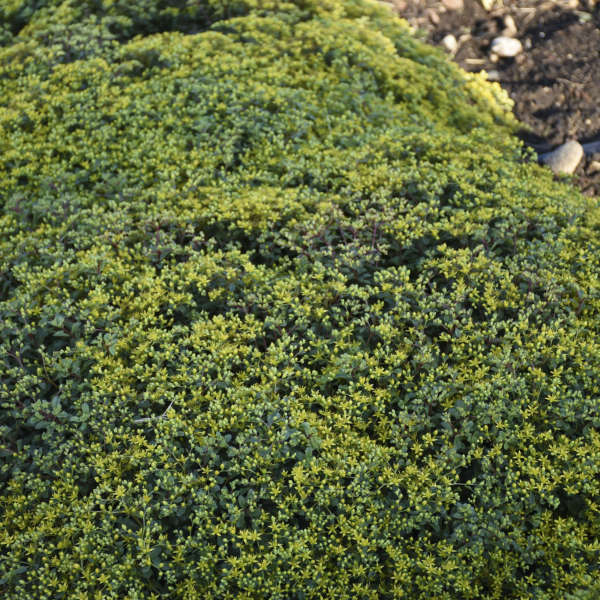 Looking for a beautiful groundcover? 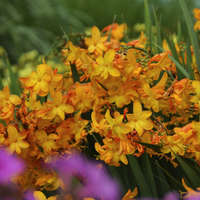 'Yellow Brick Road' is your answer! 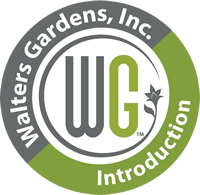 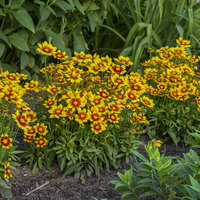 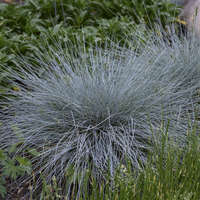 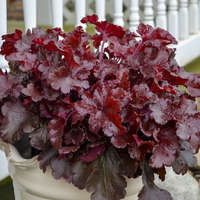 This perennial will cover its dark green leaves and red stems with fine-textured yellow flowers mid to late summer. 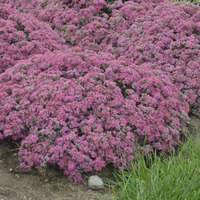 This forms an impeccable habit with little to no lodging, a problem that plagues many Sedum. 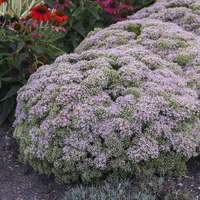 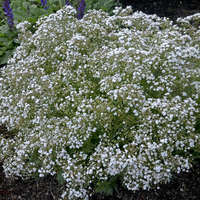 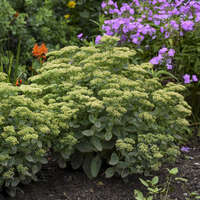 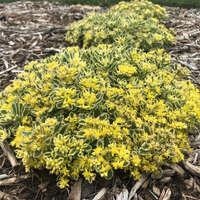 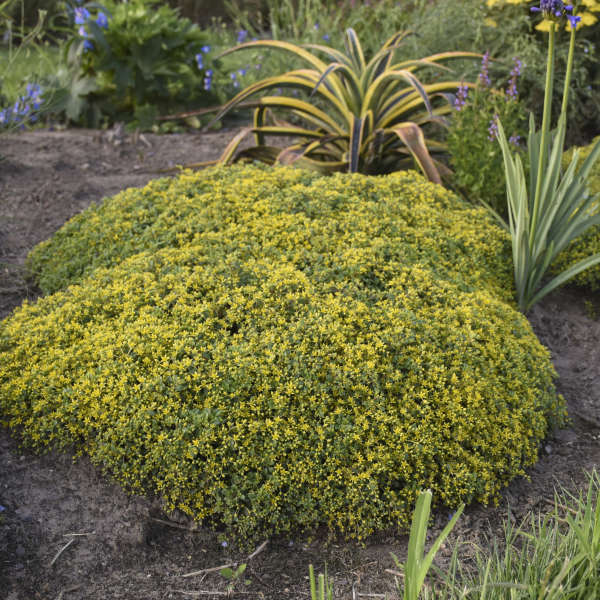 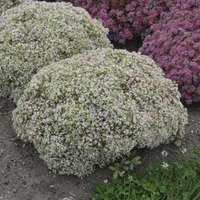 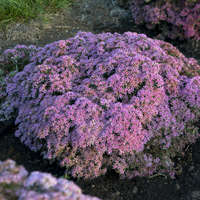 This variety blooms a few weeks later than the standard summer flowering Stonecrop (Sedum kamtschaticum or Russian Stonecrop), bridging the gap between summer and fall flowering groundcover Sedum.